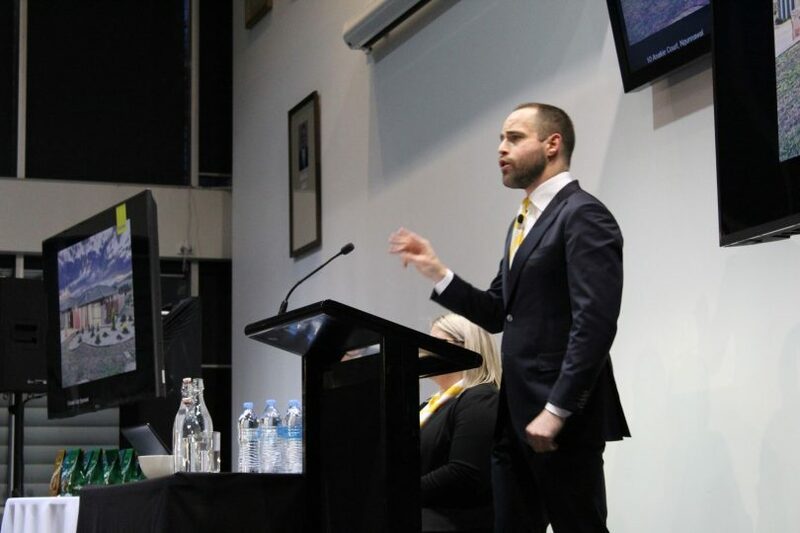 Auctioneer Jason Andrews, CEO of Ray White NSW, takes bids at Ray White Canberra’s Winter Warmer Auction. Photos: Supplied. A Garran property went close to the million dollar mark at Ray White Canberra’s Winter Warmer Auction last Thursday night (23 August). Six Harpur Street, Garran, a four-bedroom family home on the market for the first time in 50 years, was the top-priced property at $965,000 on the night, which attracted 55 registered bidders and more than 200 people throughout the evening. Two properties, one on the northside and the other in the south, were next best at $890,000. Nine Erdos Street, Bruce is an ideally located four-bedroom executive family residence while 34 Coxen Street in Hughes is only two bedrooms but offering tremendous potential for redevelopment on a 1029 square metre block in this sought-after inner south suburb. Seventeen of the 27 lots on offer sold with a clearance rate of 63 per cent for a total value of $10,877,000. But two that did not sell were vacant blocks of land, so the clearance rate for residential property was 17 out of 25, or 68 per cent. The Woden office sold seven out of their 10 properties at 70 per cent, while Belconnen sold 10 at 59 per cent. The average number of bidders, excluding properties sold prior to auction, was 2.04. Ray White Canberra said 1,292 buyers passed through its open homes during the campaign, which lived up to everything the agency had hoped for. Director Ben Faulks said that on the night, flexibility was required from both buyers and sellers to get some deals across the line. “We found the results consistent with what we see as a market that is currently quite balanced, where buyers and sellers are prepared to meet to secure the purchase or sale without the need for significant discounting,” he said. Mr Faulks said that with fewer homes on the market during the colder months it was a good time to hold the event. 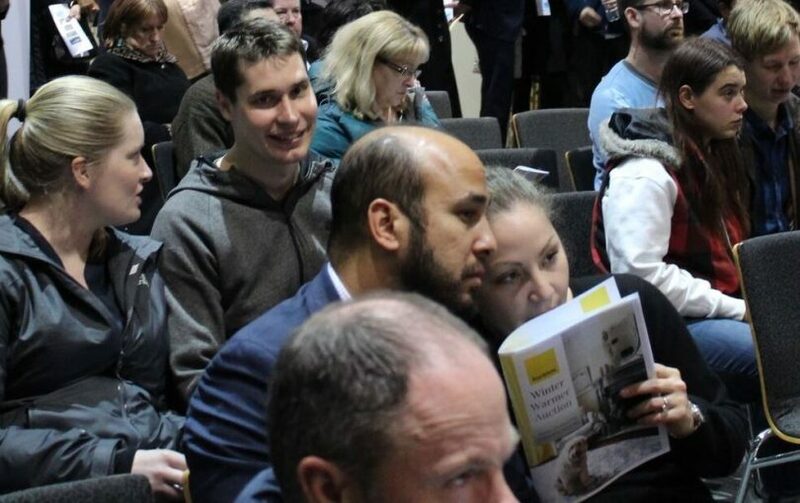 The Winter Warmer event followed Ray White Canberra’s successful summer event in January which auctioned 29 properties, selling 22 on the night, with a top price of $1,452,500. There were 100 registered bidders and more than a 1000 buyers inspected its open homes during that campaign. Here is a breakdown of each individual property, with a summary of the overall statistics below.